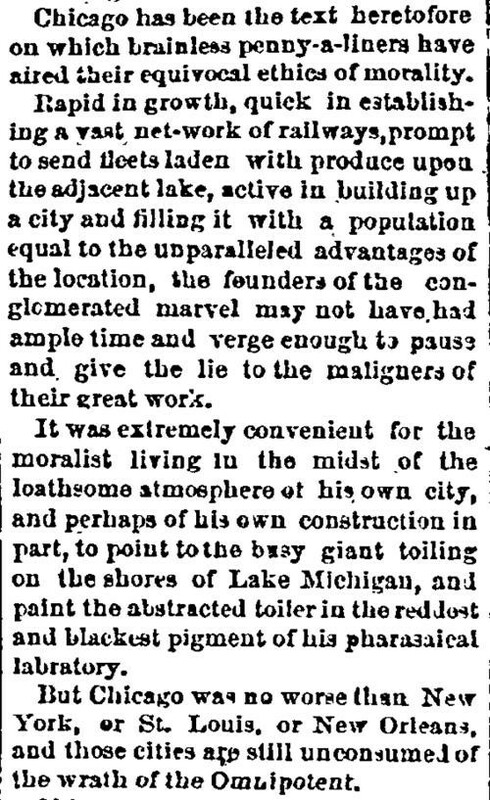 Pomeroy's Democrat, October 21, 1871. Remember when Pat Robertson and Jerry Falwell spun 9/11 as Jehovah's payback for all the sinful American gayness, abortions, secularism, and whatnot? Well they sure didn't invent that line of thinking. (It's actually built right into the Bible: see Isaiah 10:5-34). 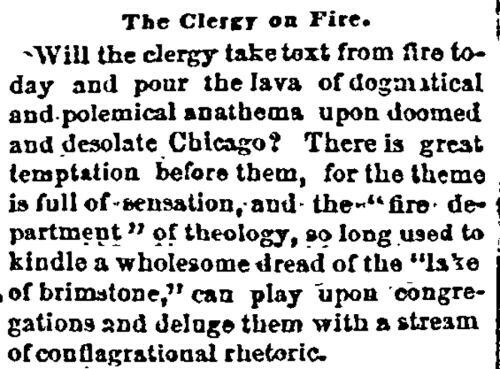 Anyway, here's Chicago editor and noted smart aleck Mark "Brick" Pomeroy correctly anticipating and preemptively refuting the theme of countless sermons and essays inspired by the great conflagration of 1871. 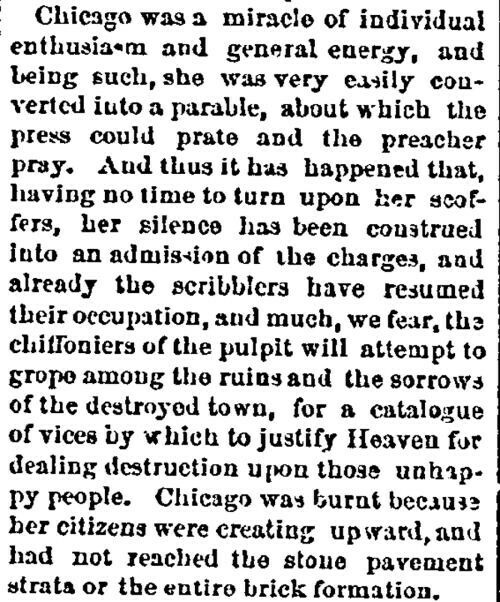 "Chiffoniers of the pulpit": I wish journalists would go back to writing like this, except if that would entail the resurrection of William F. Buckley. Pomeroy means "chiffonier" in the French sense of "rag gatherer," as opposed to one of these. Though both images are pretty funny. By "lucifer" he means a wooden match. I don't know what rats have to do with it, nor if Pomeroy is referring to some variation on the Mrs. O'Leary theory (or myth, rather) of how the fire started. 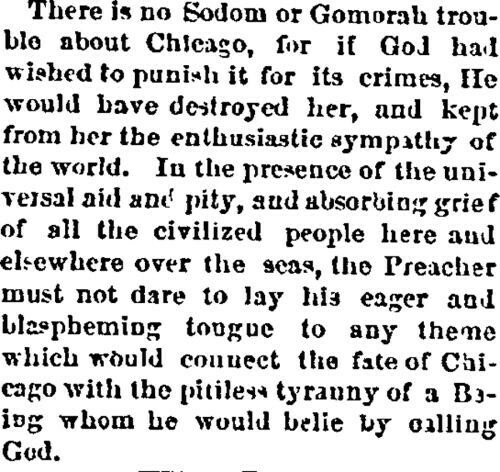 Pomeroy, you may have surmised, was something of a freethinker. According to his biographer, he invested his own faith in Masonry, believing that "there was more religion" in its teachings "than in many so-called Christian societies." God struck him down with a heart attack at the age of 60 in 1893. For more forgotten faith-based high jinks, follow the "Religion" thread over at The Hope Chest.